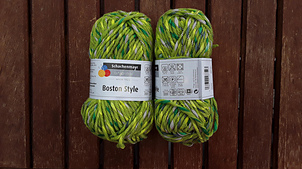 The trusted quality of Boston has an exciting new look, achieved by a colored polyester effect yarn twisted around the classic yarn. 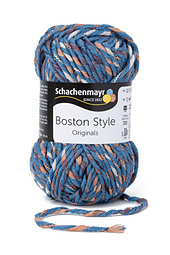 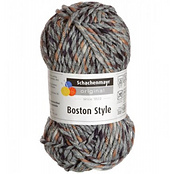 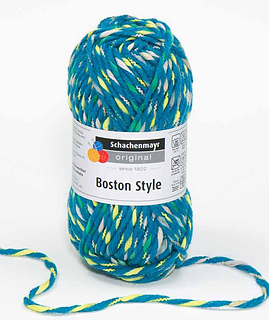 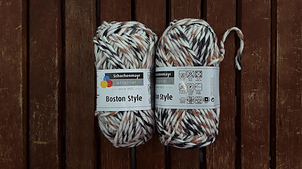 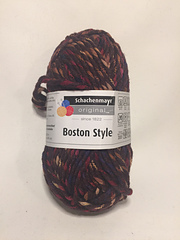 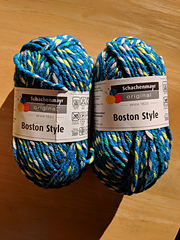 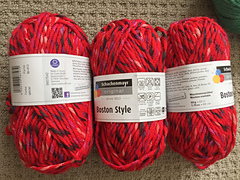 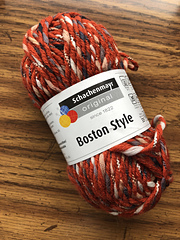 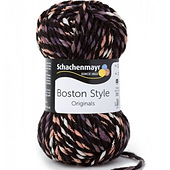 Schachenmayr original Boston Style has the same gauge as the original Boston yarn, so existing designs can be easily knitted in either yarn. 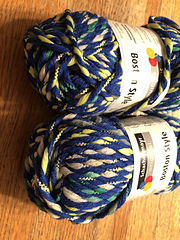 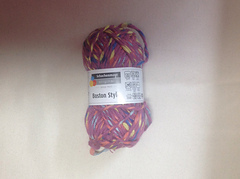 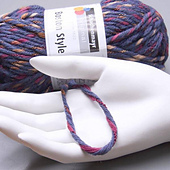 The slight increase in yardage is due to the polyester effect yarn.